Click on the arrows to check out all of our options! 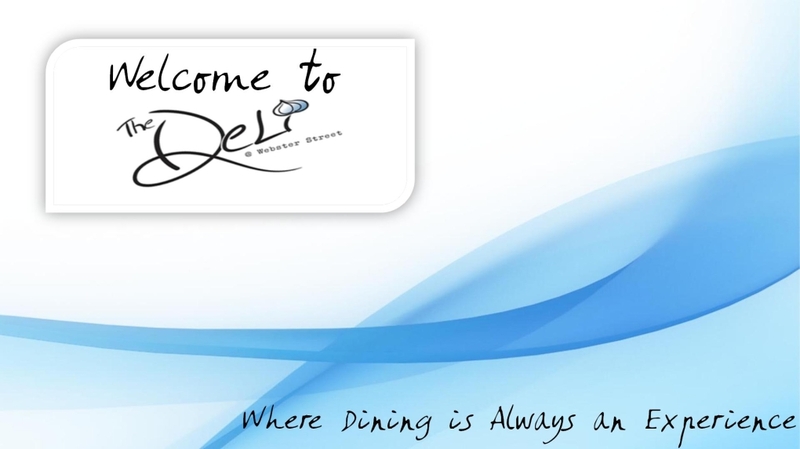 Or, you can view our entire menu by clicking HERE! 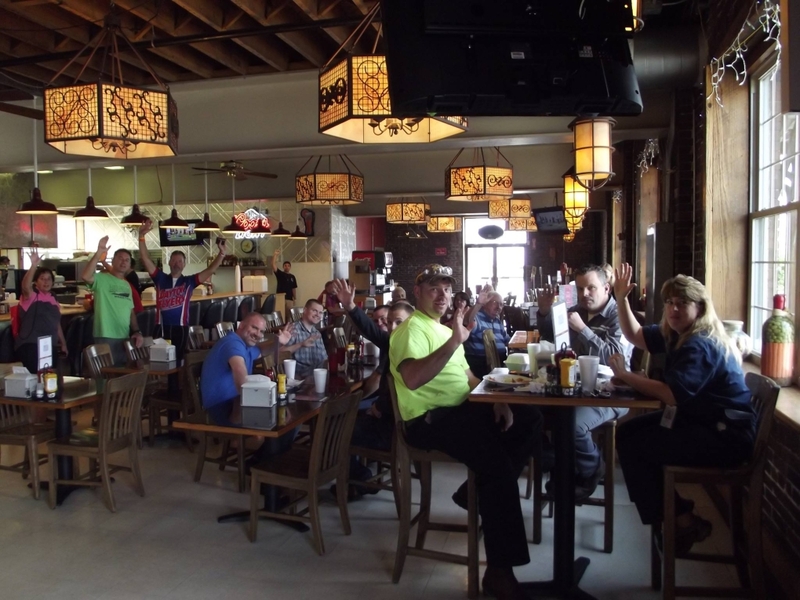 To place a pickup or delivery order, give us a call at (937) 224-3663, option 1. 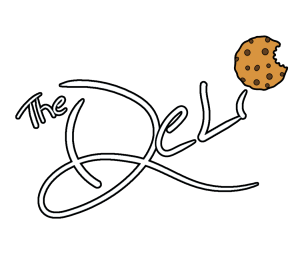 For order of four or more, please fax us at (937) 228-8646 or email us at info@thedeli-dayton.com and call to confirm receipt. Try a sliced baguette with your soup for just $1.00! Extra crackers are available for $0.25 each. A half-pound of boneless chicken wings coated in your choice of BBQ, hot sauce, or our housemade Mad Sweet Heat Candied Jalapeno BBQ Sauce! Add side of ranch or blue cheese for $0.75 or a side of celery for $0.50! All of our sandwiches are served with a side of our Deli chips. A pickle spear is available upon request. Try any of our sandwiches on a pretzel roll for $1.00! Our beer-battered cod with lettuce, tomato, red onion and tartar sauce on a grilled kaiser roll. Add cheese for 99 cents! Our breaded chicken with lettuce and tomato served on a kaiser roll. Make it cheesy for 75 cents or add bacon for 79 cents! Our grilled chicken breast with lettuce and tomato served on a kaiser roll. Add cheese for 75 cents, or add bacon for 79 cents! Your choice of any two cheeses on either toasted sourdough or whole wheat bread. Add bacon for 99 cents! Our burgers are US Grade A beef patties that are cooked medium-well unless otherwise requested. Each of our burgers are served on a kaiser roll with Deli chips. Deluxe includes lettuce, tomato, red onion & pickle chips. A pickle spear is available upon request. Try any of our burgers on a pretzel roll for $1.00! With your choice of American, Swiss, Mild Cheddar, Smoked Provolone, Smoked Gouda, Havarti, Pepper Jack, or Muenster cheese. Lettuce, tomato, onion, and pickle chips are available upon request. With the option of lettuce, tomato, onions, and pickle chips. A pickle spear is available upon request. Extra dressing is available for $0.75 each. 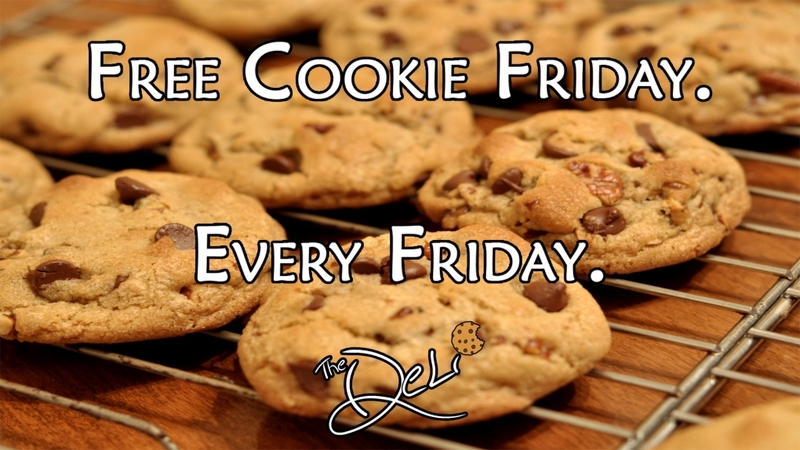 Ask us about our daily cookie selection!